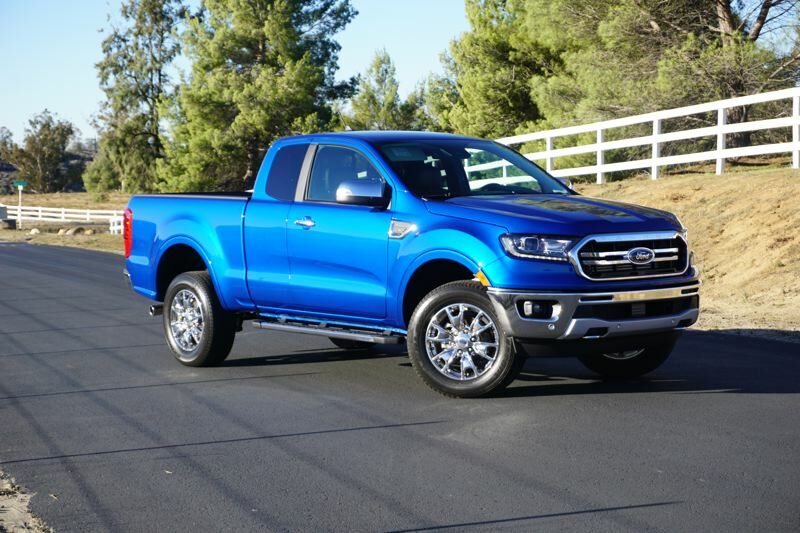 Every model of the 2019 Ford Ranger can tow up to 7,500 pounds, making it an excellent choice for a working truck that can also be ordered with luxury trim. After an eight-year break from the mid-size pickup truck market, Ford is back with the all-new 2019 Ranger. The new truck is dramatically different from competing mid-size offerings, as Ford stakes out its own ground. The new Ranger will be offered in just two body styles, and in three distinct trim levels. Buyers can choose from an extended SuperCab with a small back seat and a six-foot bed, or the four-door SuperCrew with a larger back seat and a five-foot bed. Trim levels include the basic XL, mid-range XLT, and the luxury Lariat trims. 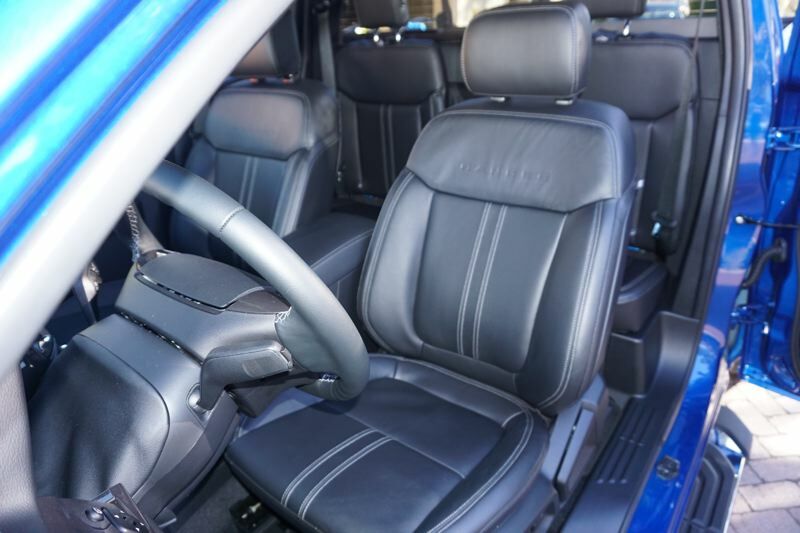 Both XL and XLT offer cloth upholstery as standard, while Lariat trucks will get leather seats. Easy-cleaning vinyl is an option on XL models. 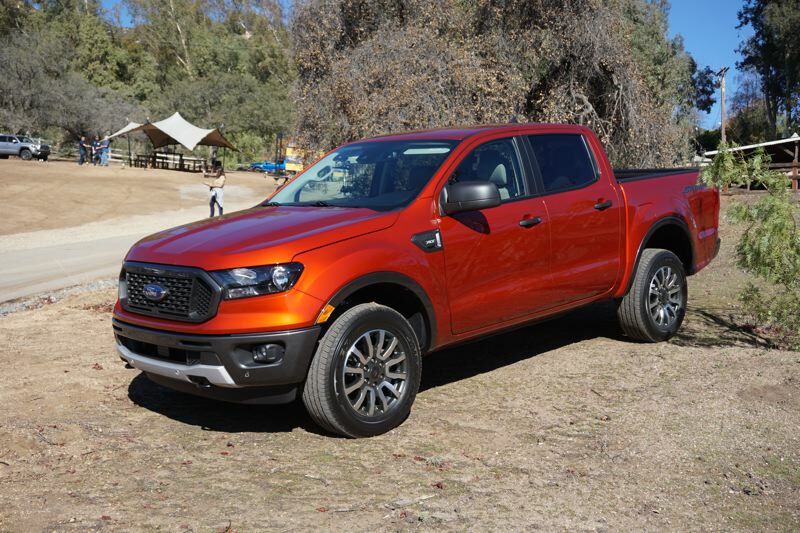 There is only one engine and transmission combination offered with Ranger, and it's a 2.3-liter EcoBoost four-cylinder engine paired with Ford's 10-speed automatic transmission. However, the plucky little engine produces 270 horsepower and 310 pound-feet of torque. That's comparable to the V6 output from competing mid-size trucks, and the Ranger has plenty of power. Any body and trim combination of the Ranger may be ordered with rear-wheel-drive or dual-range four-wheel-drive. A new frame and chassis is what gives the Ranger its best-in-class payload rating of 1,860 pounds in the 2WD SuperCab model. The frame and the driveline allow any version of the Ranger to tow up to 7,500 pounds when equipped with the optional $495 towing package. These ratings are comparable to the top of the line competing mid-size trucks, and they apply to every model of the Ranger. That makes the basic Ranger an excellent choice for a working truck. Fuel economy is another standout with this truck. According to EPA estimates, rear-wheel-drive Rangers will return 21 MPG city and 26 MPG highway, and 23 MPG in combined driving. Rangers with 4X4 are rated at 20 MPG city and 24 MPG highway, with a combined rating of 22 MPG. In our test, a rear-wheel-drive Ranger easily achieved 28 MPG in highway driving. Optional equipment includes the FX4 off-road package, which offers an upgraded suspension and skid plates, plus some great tech. The FX4 package includes terrain management and Ford's Trail Control. This works like cruise control for off-road driving. You can set a speed up to 20 MPH in 4HI or up to 5 MPH in 4LO and the Ranger will climb up and down hills or over obstacles. 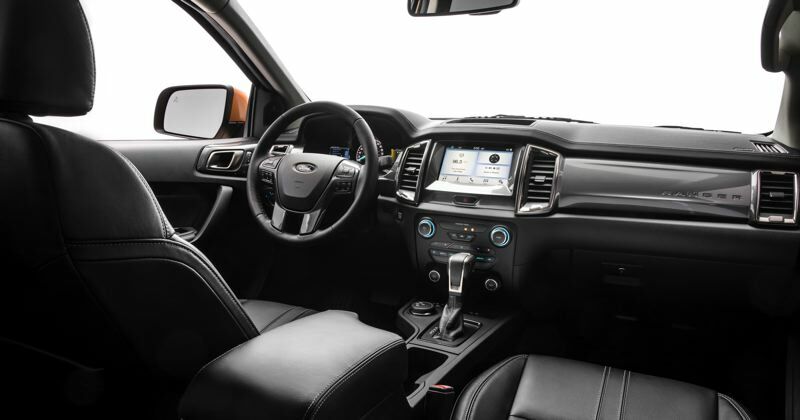 The last thing to mention is that the Ranger has an extremely quiet cabin, and comes with Ford's SYNC smartphone integration system. The new Ranger starts at $25,395 including all fees, and trucks are expected to arrive at dealers next month.